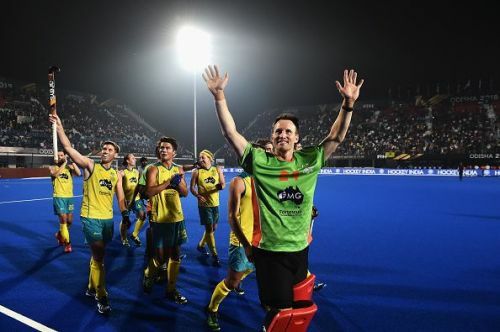 The World Number 1 team -- Australia -- faced England in their 2nd match of the 2018 Hockey World Cup. The Kookaburras have enjoyed a terrific year thus far and won almost everything. They were the champions of the 2018 Sultan Azlan Shah Cup, the 2018 Commonwealth Games in Gold Coast as well as the 2018 Champions trophy. And now, they have got off to a flier at the World Cup with 2 wins in as many games. The Aussies -- being the defending champions -- were always the favourites going into the match against England. Their long-standing rivals England also looked eager to get some points from the match but in the end, the defending champions were the ones who snatched the three points. The last time Australia lost in a World Cup match was back in February 2010 when they had suffered a 2-3 defeat to England. Since then, they have won all their 13 World Cup matches and scored a whopping 54 goals in the process. In 11 of the previous meetings between the two sides, 7 were won by Australia, 2 were won by England, and 2 ended in draws. 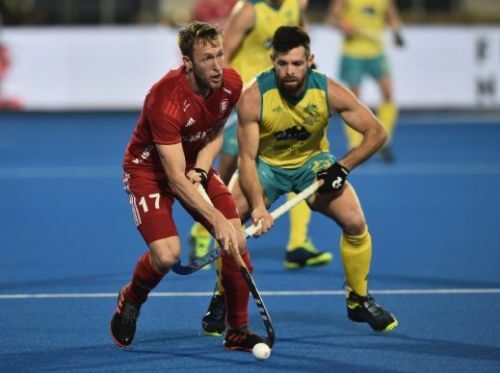 England were really tested by World Cup debutants China in their first encounter of the Hockey World Cup as the match ended in a 2-2 draw courtesy of a late goal by China. Australia, on the other hand, were coming into the match off a 2-1 win against Ireland. The 10th place Ireland really tested the Aussies and showed great character. Both Australia and England knew the importance of the match. Maybe that is the reason they both were extremely careful in the first quarter and the chances created were few and far between. Australia made some chances in the initial few minutes but they were only half chances. England penetrated well down the middle towards the end of the first quarter but none of the teams came close to scoring. The first quarter just came and went as the teams tried to settle in. There were no clear-cut chances for any of the teams. England had 6 circle penetrations and 1 shot on goal in Quarter 1 compared to The Kookaburras' 5 circle penetrations and no goals. It was surprising that the world champions had no shots on goal and it was all even stevens in the beginning. The game really picked up tempo the 2nd quarter onwards with both teams looking more determined to find that breakthrough.